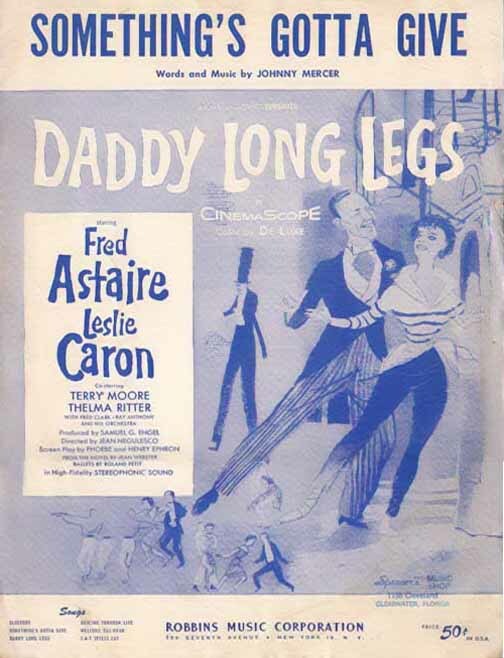 One of the rare songs that Mercer wrote both music and lyrics for, “Something’s Gotta Give” was written for Fred Astaire to sing in his 1955 film Daddy Long Legs. Other recordings include those by Sammy Davis, Jr., The McGuire Sisters, Frank Sinatra, Mel Tormé and Ella Fitzgerald. “Something’s Gotta Give” was recorded on June 9, 1955 and released that year on the Columbia compilation All Star Pops. It was arranged by Sid Feller.